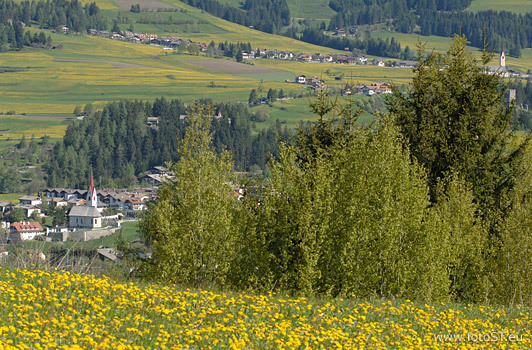 The young and the old can expect pure enjoyment during their holiday in the village Monguelfo/Welsberg - Tesido/Taisten in South Tyrol. The idyllic landscape and the manifold leisure time activities let you regain strength and help you to recover from daily hassles. An absolute must for culturally interested people is a visit of the church St. Margarete where you can admire the work of the famous painter Paul Troger. From hotels to holiday apartments there are various accommodation options to choose from in Monguelfo-Tesido. As soon as you have found the perfect place to stay at, you can spend relaxing days in the holiday region Kronplatz/Plan de Corones just like Hugo von Hoffmannsthal used to do in the past.